Twenty-five-year-old former Polish track star, Bartlomiej Przedwojewski, upset the form book to sweep to a record-breaking victory in the Otter African “Retto” Trail Run yesterday morning between Nature’s Valley and Storm’s River, with pre-race favourite, Kilian Jornet, forced out of the race in the early stages through injury. Conditions were near-perfect for running, but overnight rain had left the challenging course even my difficult, claiming several victims to falls and injuries, with several international athletes admitting that the race was “too technical” for their skills. Przedwojewski was not one of them and clocked a sensational 3 hr 40 min 48 sec to improve Swiss athlete, Marc Lauenstein’s course record by 14 minutes, with Lauenstein running a strong second half after a fall in the early stages to finish in 3:50:22, also well within his previous course record. Spanish athlete Oriol Cardona completed the podium, less than two minutes behind Lauenstein. Norwegian Stian Angermund-Vik ran a steady race to place fourth and clinch the Golden Series Championship title, awarded to the athlete scoring the highest number of points after their three best scoring races in the series plus their results in yesterday’s Otter – the series Grand Finale. Jornet had led into the final, but injury put paid to his hopes of the title for 2018. British mountain and fell runner, Holly Page, came through strongly in the second half to clinch a fine victory in record time, ahead of New Zealander, Ruth Croft, who clinched the Golden Series Title. But all the talk was of the superb performance by new South African running sensation, Toni McCann, who led the race through 30km and held on for a podium position in third place, also well inside Robyn Owen’s 2016 course record. Remarkably McCann has been a trail athlete for barely 18 months and has never raced beyond 30km. She has little athletics background, beyond playing field hockey, that would suggest she could compete with the best athletes in the world. She did more than compete yesterday. She all but destroyed the field, succumbing only in the last challenging sector to two of the world’s finest. 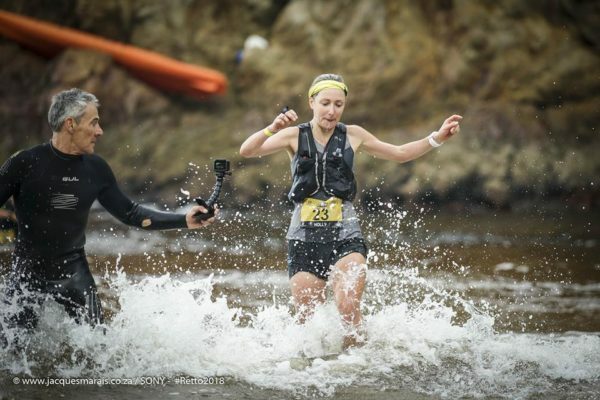 The 24-year-old nutritionist gave her rivals plenty of food for thought, as she took the race lead from top Italian, Silvia Rampazzo, shortly after the swim crossing of the Bloukrans River at 13 km, before opening a gap of almost three minutes just 15km from the finish. Inevitably she tired as the final testing hills took their toll, but she refused to buckle even as the battle-hardened and vastly experienced Page and Croft came past at pace. Many athletes lost hours rather than minutes in the second half as the testing hills forced them to a walk. McCann crossed the line at Storm’s River just three minutes behind Croft in a performance which had many of the internationals shaking their heads at an undoubted future world beater. 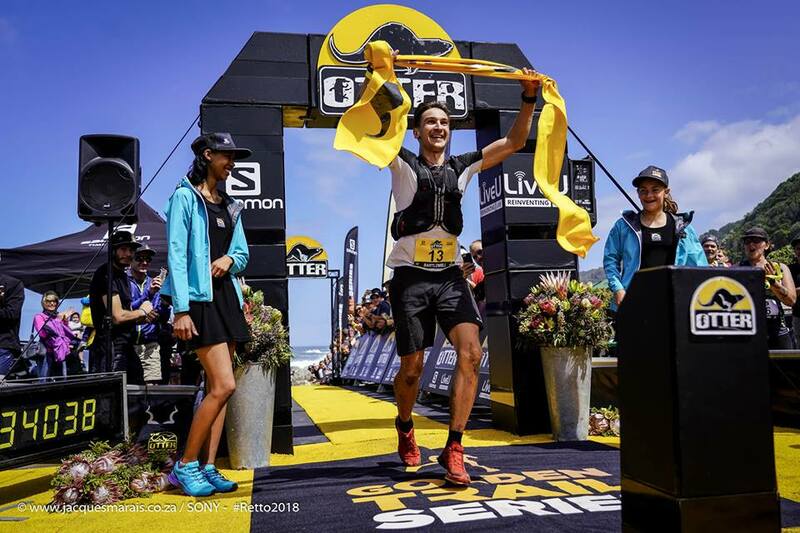 Crowning a top day for South African trail athletes were powerful performances by three Cape-based athletes, with Robbie Rorich, Rory Scheffer and Christiaan Greyling taking the last of the top ten positions ahead of some big name international athletes.